Each our plugin is a crystallization of our 8 years experience. Every review and 5 stars feedback motivates us to do more best products, for users’ success with WordPress. Good plugins performance for your comfortable work. Easy to understand and customize for your case. High-quality and fast support via forum or email. Already translated for some languages and easy to add yours. Good looking, nice to use and not ashamed to share with friends. use our plugins on their websites. Join too! Optimize and tweak WordPress by disable unused features. Improve performance, SEO and security using Clearfy — super easy. This plugin helps to disable notices, so no annoying updates or nag notices (update to premium, leave a comment, etc.). 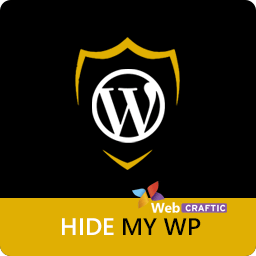 This premium component helps in hiding your WordPress from hackers and bots. This plugin works really cool on my WordPress Blog site for Android Crawl Blog.. Thanks for this very useful plugin I earn more fb users like my Facebook page with this.. You Deserve to have a higher ratings with this plugin… Cheers! I used, and struggled with, “Pay with a Like” and decided to look for an alternative. Found Social Locker and have found it easy to use and it has delivered a rapid and measurable upward bump in my site traffic. Excellent! I used this for a Newsletter campaign and it works out well. We gained around 60 Facebook likes and 50+ Twitter Followers. Thanks! I was looking for a social pay/download plugin and i tried many. This one is by far the best on the market and the free functionalities are outstanding. I had some custom mod questions and the kind developers were more than happy to help me a couple of times with custom codes.